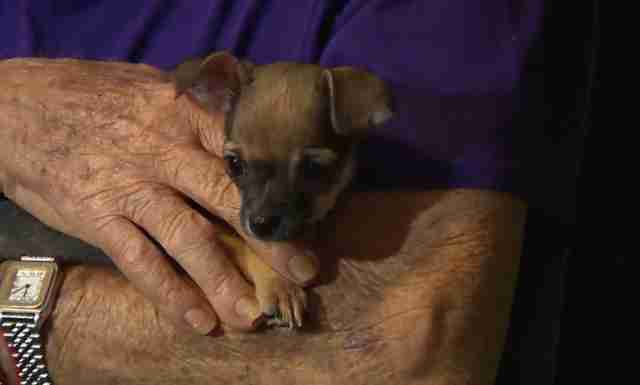 When an 89-year-old man learned that Gucci, his 5-pound Chihuahua, had been mauled to death by another dog in the neighborhood, his heart nearly stopped. Although he survived a heart attack and dramatically increased blood pressure, Miguel Rojas of Miami was inconsolable after the tragedy. A kind stranger named Mario Cambo had seen Rojas's story on the news, and donated a new puppy to the family. "I saw the story yesterday, and right away I said I needed to do something, so I did," Cambo told Rojas in a Facetime call. No new dog or great sum of money could ever replace Gucci, the family explained to the news crew. 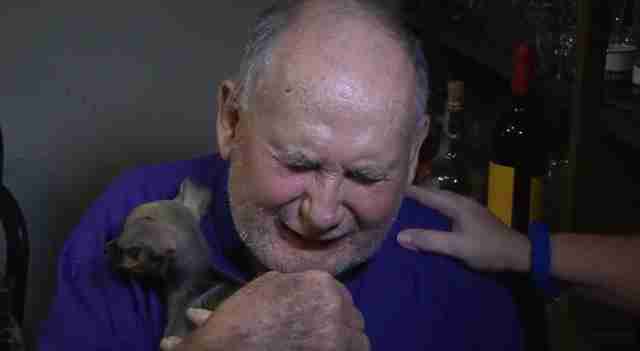 But to the elderly couple, having a dog in the house again means everything. 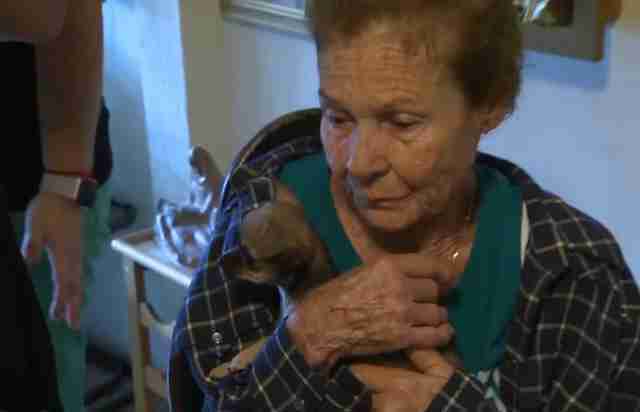 Ada Rojas, 83, had tears in her eyes as she held her and her husband's new pup. "We felt Gucci's death very deep, and this dog made us want to continue to live," she said. "We did not feel like living. God has given us a gift." Watch the moment when Rojas' daughter and family friend deliver the new puppy to the couple. It was a moment of many emotions for the family. "I am happy," Rojas said while holding his new dog. "I am sad." The Rojas's daughter, also named Ada, told CBS that she and her family won something better than any sum of lottery winnings. "This is unconditional love," she said. They haven't named the new pup yet, but they plan to keep the dog out of harm's way by keeping him off the sidewalk and only letting him go outside in their own backyard and the dog park. So far, the county's animal service has been unable to find the owner of the dog who killed Gucci. That dog, who has no microchip, is being kept in quarantine and may be euthanized. It's been a week of loss and heartache for the Rojas family, but as the video shows, sometimes the best cure for a broken heart is to keep allowing yourself to love others and to accept the love you get in return, especially if it's coming from a small Chihuahua pup.